The latest season of your favourite series has begun and a long awaited new game has dropped, and of course you have to give it a go right away. No sooner do you press the key to launch though than your streaming video glitches and the game download sputters and falters. Why? Because the router’s WiFi is simply too weak to provide the entire home with fast Internet. Long story short: your good mood has gone. Now what? For WiFi weakness of this sort, devolo has the perfect solution: devolo Magic 2. It uses the building’s own powerline to transmit data and uses a revolutionary combination of ultra-high-performance Mesh-WiFi and Powerline technology. The advantage is that a new WiFi hotspot can be created with devolo Magic at any power socket, ensuring that walls, ceilings and closed doors can no longer block the WiFi signal. 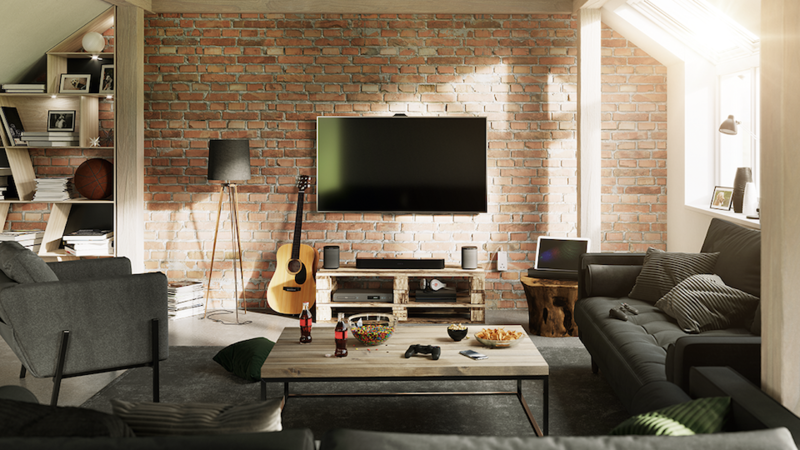 An additional benefit is provided by the Ethernet ports, which means smart TVs, streaming boxes and gaming consoles can be connected by Ethernet cable for super-fast speeds. The new high-end adapters in the devolo Magic series offer speeds of up to 2,400 Mbps. That’s enough power for all of today’s Internet applications, not to mention the multimedia world of the future: simultaneous streaming of multiple 4K, even 8K videos, data-hungry virtual reality applications and online gaming at maximum speed. devolo Magic can do it all. 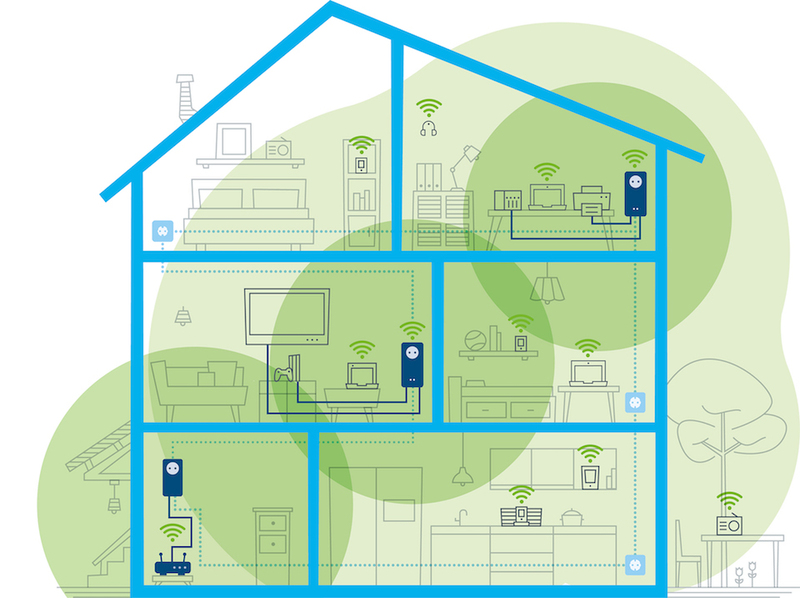 All devolo Magic WiFi adapters offer top-level Mesh-WiFi. And they’re equipped with completely new and better WiFi functions. With “Fast Roaming”, all mobile devices, such as smartphones and tablets, are always connected to the strongest WiFi hotspot. This is especially important when people move from room to room with their mobile devices. Also, all devolo Magic adapters automatically take on the WiFi settings from the router. This way the tightly “meshed” WiFi network is created. The result is rocket-fast WiFi, anytime, anywhere! It may sound technical and complicated, but putting it into practice is easy. devolo Magic adapters are easy as pie to set up for use. Once you’ve plugged in the first adapter, all other adapters that are plugged in within the next two minutes are automatically connected to each other. The established connection is secure and protected from external access. There is also the new Home Network app from devolo which offers a step-by-step installation guide. All this is how devolo Magic can guarantee super-fast streaming, gaming and Internet browsing in rooms and areas which, until now, have been supplied with insufficient signal. And the new episodes of that favourite series, as well as the eagerly awaited game, finally stream and load without a hitch—driving off the bad mood and bringing back your shine! devolo Magic will be available online at the end of October. There are a variety of product packages to choose from to meet every customer’s need. From Starter Kits, and single adapters for expanding Magic networks, to whole-home kits for larger homes, devolo has something for everyone. devolo provides a three-year manufacturer’s warranty for all products. 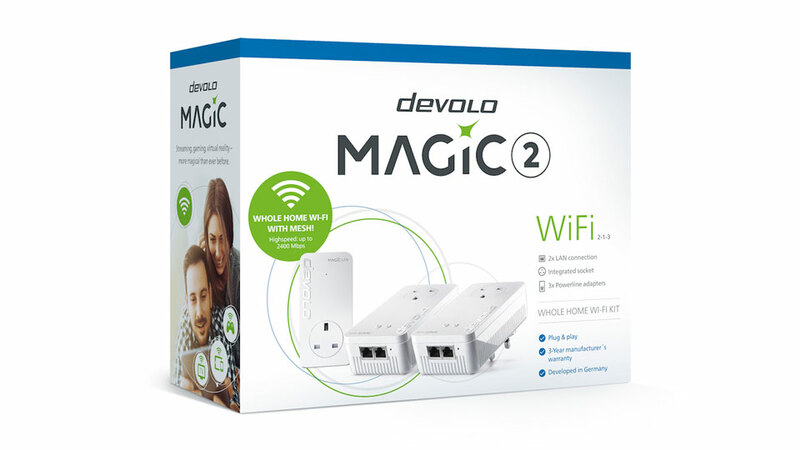 The devolo Magic 2 Whole-Home-WiFi Kit will RRP at £269.99. The devolo Magic 2 WiFi single unit will retail at £109.99 while the devolo Magic 2 WiFi Starter Kit will be available for £169.99. Both will be available to buy online at Amazon at the beginning of November. Visit www.devolo.co.uk for more information.